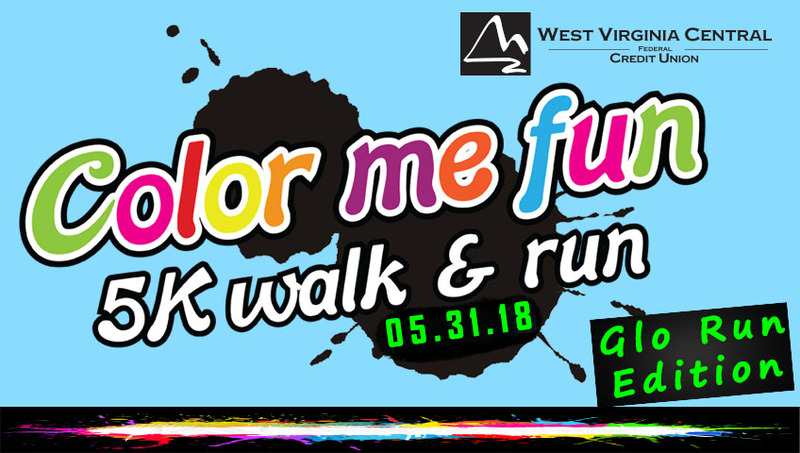 Come join us for the 5th Annual Color Me Fun 5k Walk & Run on May 31st, 2018. All proceeds go to benefit the Children's Miracle Network. The 5th Annual Color Me Fun - 5K Walk & Run will be held on May 31st at 7:30 PM. We will start off at the Farmers Market in downtown Parkersburg. This year we are doing a Glo Run! There will also be a costume contest starting at 7:00 PM! (Dress in your favorite "Glo" gear) Also, stick around after the race for live entertainment. Color Me Fun benefits local children in our area through Children's Miracle Network, so it's a great evening for a great cause!